An outstanding number of things most people take for granted present enormous hurdles for people with physical disabilities, including interaction with computers and other digital resources. 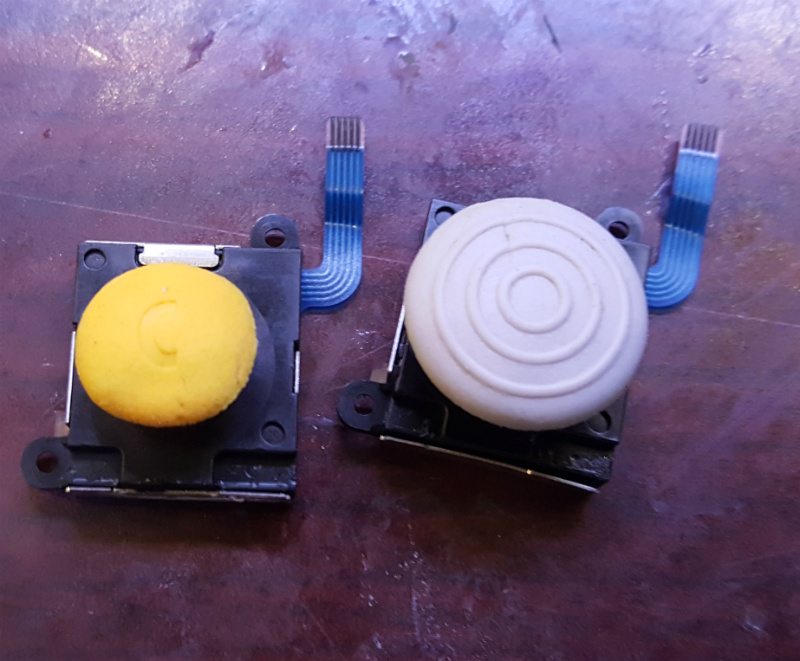 Assistive technologies such as adaptive switches allow users who cannot use conventional buttons or other input devices to interact with digital devices, and while there are commercial offerings there is still plenty of room for projects like [Cassio Batista]’s DIY Low-cost Assistive Technology Switches. [Cassio]’s project focuses on non-contact switches, such as proximity and puff-based activations. These are economical, DIY options aimed at improving accessibility for people who are unable to physically push even specialized switches. There are existing products in this space, but cost can be a barrier and DIY options that use familiar interfaces greatly improves accessibility. Assistive technologies that give people the tools they need to have more control over their own lives in a positive, healthy way is one of the more vibrant and positive areas of open hardware development, and it’s not always clear where the challenges lie when creating solutions. An example of this is the winner of the 2015 Hackaday Prize, the Eyedrivomatic, which allows one to interface the steering of an electric wheelchair to a gaze tracking system while permanently altering neither device; a necessity because users often do not own their hardware. Imagine the scenario: you’re spending some quality time in the shop with your daughter, teaching her the basics while trying to get some actual work done. You’re ripping some stock on your cheap table saw when your padiwan accidentally hooks the power cord with her foot and pulls out the plug. You have a brief chat about shop safety and ask her to plug it back in. She stoops to pick up the cord and plugs it back in while her hand is on the table! Before you can stop the unfolding tragedy, the saw roars to life, scaring the hell out of everyone but thankfully doing no damage. If that seems strangely specific it’s because it really happened, and my daughter was scared out of the shop for months by it. I’ll leave it to your imagination what was scared out of me by the event. Had I only known about no-voltage release switches, or NVRs, I might have been able to avoid that near-tragedy. [Gosforth Handyman] has a video explaining NVRs that’s worth watching by anyone who plugs in anything that can spin, cut, slice, dice, and potentially mutilate. NVRs, sometimes also called magnetic contactors, do exactly what the name implies: they switch a supply current on and off, but automatically switch to an open condition if the supply voltage fails. Big power tools like table saws and mills should have them built in to prevent a dangerous restart condition if the supply drops, but little tools like routers and drills can still do a lot of damage if they power back up while switched on. [Gosforth] built a fail-safe power strip for his shop from a commercial NVR, and I’d say it’s a great idea that’s worth considering. Amazon has a variety of NVRs that don’t cost much, at least compared to the cost of losing a hand. True, an NVR power strip wouldn’t have helped me with that cheap table saw of yore, but it’s still a good idea to put some NVR circuits in your shop. Trust me, it only takes a second’s inattention to turn a fun day in the shop into a well-deserved dressing down by an angry mother. Or worse. The most impressive projects in the winner’s circle combined the one-of-a-kind cardboard creations with custom software written using Toy-Con Garage, the visual software development environment built into the Nintendo Switch console. Access to the garage is granted after a user runs through Nintendo Labo’s “Discover” activities, which walk the user behind the scenes of how their purchased Labo accessories work. This learning and discovery process thus also serves as an introductory programming tutorial, teaching its user how to create software to light up their custom cardboard creations. It’s pretty cool that Nintendo opened up a bit of the mechanism behind Labo activities for users to create their own, but this is only a tiny subset of Nintendo Switch functionality. We have different hacks for different folks. Some of us enjoy reverse engineering details of how those little Joy-Cons work. Others hack up something to avoid a game puzzle that’s more frustrating than fun. And then there are those who are not satisfied until they have broken completely outside the sandbox. With 3D-printing, cheap CNC machines, and the huge variety of hardware available these days, really slick-looking control panels are getting to be commonplace. We’re especially fond of those nice indicators with the chrome bezels, and the matching pushbuttons with LED backlighting; those can really make a statement on a panel. Sadly for [Proto G], though, the LEDs in his indicator of choice were just boring old one-color units, so he swapped them out and made these addressable RGB indicators. The stock lamps are not cheap units, but they do have a certain look, and they’re big enough to allow room for a little modification. The original guts were removed with a Dremel to make way for a Neopixel board. [Proto G] wanted to bring the board’s pads out to screw terminals, so he had to adapt the 3.0-mm pitch blocks he had on hand to the 2.54-mm pitch on Neopixel board, but that actually came out neater than you’d think. With a little hot glue to stick it all back together, he now has fully-addressable indicators that can be daisy-chained together and only take up a single GPIO pin. These indicators and the nice looking panel they’re on is part of a delta pick-and-place robot build [Proto G] has been working for a while. He’s had some interesting side projects too, like the clickiest digital clock in the world and easing ESP32 setup for end-users. While we like all his stuff, we can’t wait to write up the finished delta.